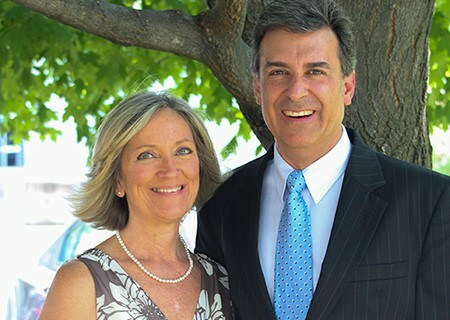 Pastor Jeff Scheibenpflug and his wife Sharon both grew up and met in southern Rhode Island. Shortly after they were married, Pastor Jeff attended and graduated from Bob Jones University in Greenville, SC earning a BA in Biblical Studies. They then moved to Landsdale, PA where he received his seminary training and earned a Master of Divinity, at Calvary Baptist Theological Seminary. He later returned to the seminary earning a Doctor of Ministry degree. It was always their intention to return to New England and start a church but God had other plans and called them to full time ministry in Ramsey, New Jersey – where Pastor Jeff has been the Sr. Pastor of Grace Baptist Church for the past 22 years. Pastor Jeff has a heart for studying and preaching the word of God and for seeing souls come to a saving faith in Jesus Christ. He and Sharon have been married for 29 years and have three children- Nicholas, Emily and Jonathan.